I am here today with some inspiration for the ANYTHING GOES CHALLENGE over at the Mad for Markers Challenge blog! Here is my card... 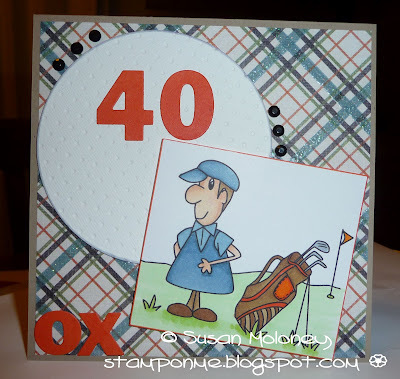 I have coloured in Jim playing Golf from Digistamp Boutique. Check out the Mad for Markers store for all of your copic needs. Sammi is now stocking La La Land dies and Flourishes stamps and I can't wait to get my order in... what about you?